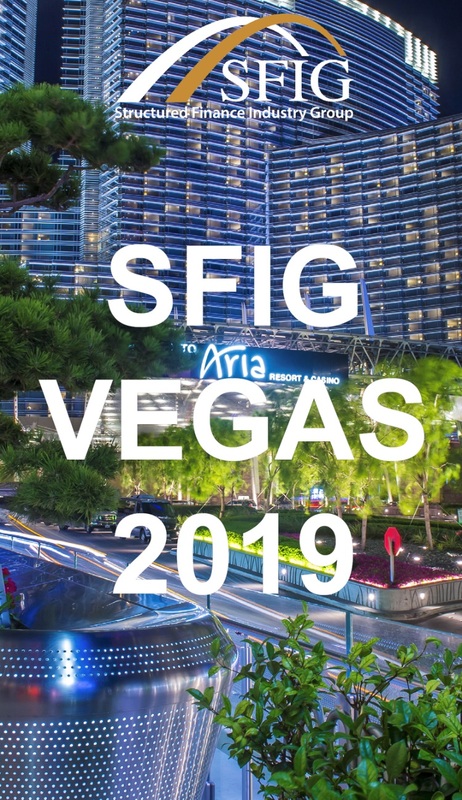 The Structured Finance Industry Group (SFIG) is excited to once again present the largest capital markets conference in the world, SFIG Vegas 2019, February 24-27, 2019, at the Aria Resort & Casino in Las Vegas. The three-and-a-half day program is developed by leaders within the structured finance industry representing the full spectrum of industry participants including investors, issuers, financial intermediaries, regulators, law firms, accounting firms, technology firms, rating agencies, servicers, and trustees. 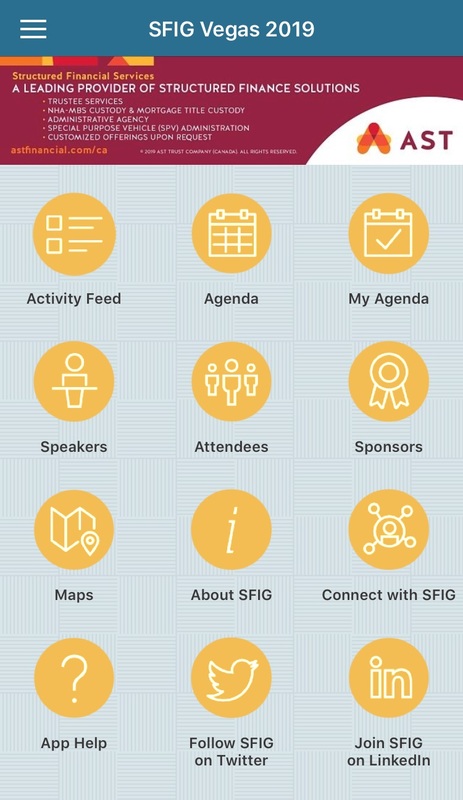 The SFIG Vegas 2019 App is now available to download! Simply search for "SFIG Vegas" in the Apple App Store or Google Play, and download it to your iPhone, iPad, or Android device. Join the online #SFIGVegas conversation and expand your professional network! Follow SFIG on Twitter and LinkedIn. We would like to extend a special thanks to our app sponsor, AST. For more information on sponsorship opportunities, please email us at SFIGVegas@sfindustry.org or call 202-524-6300. Secure your specially priced room at the Aria Resort & Casino. Join us for the largest capital markets conference. Registrants will receive a booking code once their registration is approved by SFIG Administration. Aria Resort & Casino hotel rooms cannot be booked without an access code. Questions, please email SFIGVegas@sfindustry.org.